The M.A.B. was established to guide the company by representing the voices of our expanding international network of medical professionals and caregivers. Our Medical Advisory Board members are physicians, physical and occupational therapists, naturopathic physicians, and lymphatic drainage specialists, who bring their unique perspectives and expertise to inform the strategic direction and success of the organization and it’s coursework. The roles of board members include functioning as consultants on new processes, providing insight on scientific and medical content, and serving as healthcare thought leaders and advocates of the cancer patient and survivor. Our Medical Advisory Board members champion CETI’s mission to provide ‘gold-standard’ education to health and fitness professionals in order to EMPOWER cancer patients and survivors during all stages of their journey. Dr. Robert Ellis DO, PhD located to the Northwest after an Army career of 22 years. He is a second-generation osteopathic oncologist and holds a PhD in microbiology with a specialty in molecular immunology. He is trained and board certified in medical oncology, osteopathic medicine, and integrative medicine. He is a professionally trained plant based chef in addition to training in culinary medicine. He has always been interested in the role of lifestyle factors in the prevention and treatment of disease. While on active duty, he secured funding and was awarded a national research award for his work on the training impact of smoking on army basic trainees at Fort Bliss. He is an Assistant Professor of Medicine at the College of Osteopathic Medicine of the Pacific. There he is co-founder and physician lead in the development of the Lifestyle medicine curriculum and longitudinal track. He serves as a member of the Tulane Consortium of Culinary Medicine. His current position is physician director of the Longview-Kelso Medical Oncology office and medical director of the Integrative Oncology Program of Northwest Permanente Medical Group. His personal lifestyle interests include, plant based cooking, mindfulness, and running. Dr. Jay Harness is a past-President of The American Society of Breast Surgeons and Breast Surgery International. He is a full-time breast surgeon at the St. Joseph Hospital Center For Cancer Prevention & Treatment in Orange, California. Practicing surgery for 40 years, Dr. Harness specializes in breast surgery and surgical oncology. After graduating from medical school from the University of Michigan, Ann Arbor, he conducted his internship and residency at the University of Michigan Medical Center. Dr. Harness then remained on the faculty at the University of Michigan and developed one of the nation’s first multidisciplinary breast center in 1985. He left the University of Michigan in 1989 and spent two years at Tufts University School of Medicine in Boston where he also established a multidisciplinary breast center at St. Elizabeth’s Medical Center. Subsequently, he came to Oakland, California in 1991 to join the University of California-East Bay Department of Surgery where he was a Professor and Chief of Surgical Oncology at Highland General Hospital. The opportunity to direct his third multidisciplinary breast center in Southern California came in the summer of 2003. Dr. Harness spent 28 years in academic general surgery at the University of Michigan, Tufts University School of Medicine, the University of California, Davis, and the University of California, San Francisco. He is currently a clinical professor of surgery at the University of California, Irvine. Dr. Harness has been recognized nationally and internationally for his work in breast and endocrine surgery. He is a member of several national and international surgical societies and associations. He has served as Secretary-Treasurer, and President of the American Association of Endocrine Surgeons and Chair, Board of Directors, of The American Society of Breast Surgeons. He has authored over 80 scientific articles and book chapters and has been the lead editor of 2 textbooks. 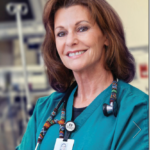 Dr. Elizabeth (Liz) Almli was born and raised in the Tucson, Arizona where she attended the University of Arizona. She graduated from Medical School with honors and completed her Anesthesia Residency as the Chief Resident at University Medical Center. As a physician in private practice who has cared for cancer patients for over 25 years, never did Dr. Liz think she would one day be the one dealing with the challenges of a cancer diagnosis. Diagnosed with an aggressive form of breast cancer at age 44, Liz underwent bilateral mastectomies with breast reconstruction and a year of chemotherapy. The frustrating feeling of “losing control” over her health prompted her to explore a proactive approach to her own recovery. Education, exercise, nutrition and stress reduction, empowered her to take control of her health both during and after cancer treatment. Wanting to turn her experience into something positive that other cancer survivors could benefit from, she obtained her Personal Training Certification through the American College of Sports Medicine with advanced certification as a Cancer Exercise Trainer through the Cancer Exercise Training Institute. She now serves as the President and Fitness Director for The Tucson Cancer Conquerors, a comprehensive nonprofit healthy survivorship program centered around exercise, nutrition, education and peer support. 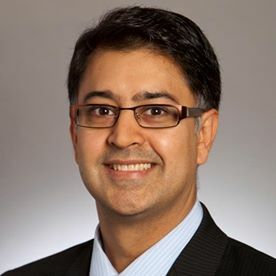 Farhan Tahir MD, FACR, ABIHM is the Founder and Medical Director at Rheumatology Care Consultants in Montgomery, PA. An integrative rheumatologist with interest in evidence based rheumatology and role of integrative medicine to treat autoimmune and inflammatory diseases. Although well versed with modern cutting edge western conventional rheumatology guidelines, integrative rheumatology is his passion. He diagnoses and treats all autoimmune and inflammatory diseases. My expertise include using novel integrative diagnostic approach, functional and nutritional based testing for autoimmunity and developing individualized therapies for chronic inflammatory autoimmune disorders along with addressing musculoskeletal and pain disorders. He offers his services at Cancer Treatment Centers of America. I offer compassionate and integrative approach supported by evidence based clinical practice. I am motivated for a lifetime learning and helping my patients fight inflammation, autoimmunity and pain. 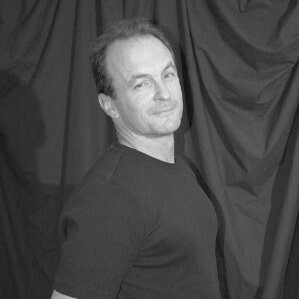 Leonard Framson, PT is an orthopedic and sports physical therapist and personal trainer in Long Island, NY. He has many years of experience and expertise in the field working with individuals from youth to adult, amateur to professional and have been involved in international sports rehabilitation at the youth and adult levels from the North East Regional Youth Games to the Maccabiah World Games to the Olympics as well as many other competitions and sports disciplines. He provides comprehensive and passionate wellness oriented care for anyone seeking wellness including people with suspected or diagnosed cancer, autoimmune and inflammatory conditions. He has 18 years of experience in medicine, dermatology, rheumatology, and pain medicine. Master of PT and BS in PT from Sargent College of Allied Health Professions Boston University and Master of Fitness Science Certification ISSA. Denise Stewart, B.S. in Occupational Therapy has worked with people experiencing breast cancer related Lymphedema; managing compression garments and guidance to reduce skin and soft tissue inflammation since 1981. Her training and work in hands-on massage for problematic soft tissue commenced in the 1990’s. Denise used her knowledge and skill to develop new methods for assessing and treating post-breast cancer scar tissue and shoulder girdle changes. Core stability and scapular stabilization/movement have been an integral part of her work. 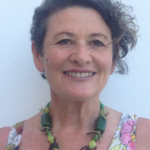 Denise has postgraduate training in courses by Pavel Kolar; Development Kinesiology (Prague). She has since developed post-graduate training workshops in Australia as well as online global-training programs for health professionals. Her expertise in assessment, intervention, and training remains focused on active scar tissue, postural changes, and chronic soft tissue pain. Her goal is to EMPOWER her clients to understand pain and dysfunction and learn how to self-manage through their own means. Her work with post-breast cancer cording has led to the development of a more comprehensive testing method. This information was published, and awarded a prize, at the 2014 Australasian Lymphology Conference. In 2016, at the same conference, she presented two others; a review of case studies from the Share Cording Protocols Project and Mastectomy Scar Assessment; a review of POSAS. Dr. Shawna Willey, M.D. is the Chief of Breast Surgery at the Georgetown University Medical Center – Dr. Willey has been an investigator on several clinical trials, including a study of the expanded use of ductal lavage for patients with previous breast cancer treated with breast-conserving surgery and radiation. She is interested in international health and education, and has conducted programs throughout the world, including Europe and the Middle East. 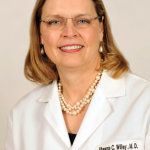 Dr. Willey is an active member of the American Society for Breast Surgeons. She is also an Assistant Professor in the Division of General Surgery and a member of the Breast Cancer Program at the Lombardi Cancer Center. Dr. Theodore Tsangaris Jr. M.D., F.A.C.S. is the Surgical Director of the Breast Cancer Center at Jefferson University Hospital. He was formerly the Chief of Breast Surgery at Johns Hopkins Medical Center and is a member of the National Surgical Adjuvant Breast and Bowel Project and American College of Surgeons Oncology Group. Dr. Tsangaris has authored or co-authored numerous articles and abstracts in journals such as Pathology Case Reviews, Surgical Oncology, Radiology, and Breast Disease. His research interests include prevention of breast cancer, tumor markers, sentinel lymph node as well as other surgical procedures in the treatment of breast cancer. LaGary Carter R.N. is the Associate Professor a nd coordinator of the Exercise Physiology program at Valdosta State University. LaGary is a certified Cancer Exercise Specialist by the Cancer Exercise Training Institute as well as a certified Registered Clinical Exercise Physiologist and Clinical Exercise Specialist by the American College of Sports Medicine. He is an Exercise Physiologist-Certified and Fellow of the American Society of Exercise Physiologists and a member of the Clinical Exercise Physiology Association. LaGary is also a registered nurse at the Dasher Heart Center at South Georgia Medical Center. Lynn Rosenzweig, PT – was trained in Johannesburg, South Africa. She has a Bachelor of Science degree in Physical Therapy from the University of the Witwatersrand with special interest in orthopedic and manual therapy. Lynn has spent the last 25 years in the health and fitness industry. Lynn is a runner and is passionate about running and exercising. Her focus is to raise awareness about the importance of exercise for cancer survivor-ship and to promote regular physical activity as an essential component for those diagnosed with cancer. She currently coaches the Unite For Her team of breast cancer survivors to complete a 5K. Lynn has expertise working with and training cancer patients. Her training includes course work on running injuries, kinesiotaping, osteoporosis and exercise certification for cancer patients. 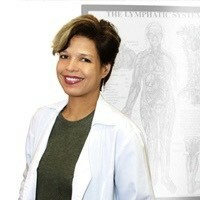 Keri-Ann de Gannes, CLT – is a Certified Lymphedema Therapist and Board Certified Massage Therapist, with over 20 years experience in the healthcare industry. She founded the Lymphedema Association of Trinidad & Tobago to focus on education of the condition and to guide patients and their support on lifestyle changes that can assist for an enhanced quality of life. Keri-Ann works closely with General Physicians, Oncologist, Surgeons, Physical Therapist, Occupational Therapist to great the team approach to patient care, pre and post. She prides herself on being extremely professional in both massage rehabilitation therapy and edema/lymphedema/lipidema management. She is the Caribbean Distributor of Lohmann and Rauscher USA- Solaris Freedom to Live and Distributor of Juzo products. Over the years she has consulted with patients throughout the Caribbean and presented at Cancer and Health care conferences in Tobago and Grenada; as well as made contributions via radio interviews and newpaper articles on lymphedema management. Dr. Glenn B. Gero, N.D, R.N.C., M.H. is a Board-Certified doctor of naturopathy, master herbalist, registered nutritionist, cancer exercise specialist, certified fitness trainer, and lifestyle coach. 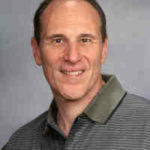 Dr. Glenn Gero is a NJ naturopath who has appeared on numerous television and radio programs, including NBC, PIX, Fox, NJTV, among others, and analyzes each individual’s health, behavioral and attitudinal profile to help achieve optimal wellness by referring each client to scientific, historical and anecdotal healing principles.